Ok, we’re back into kitsch territory. 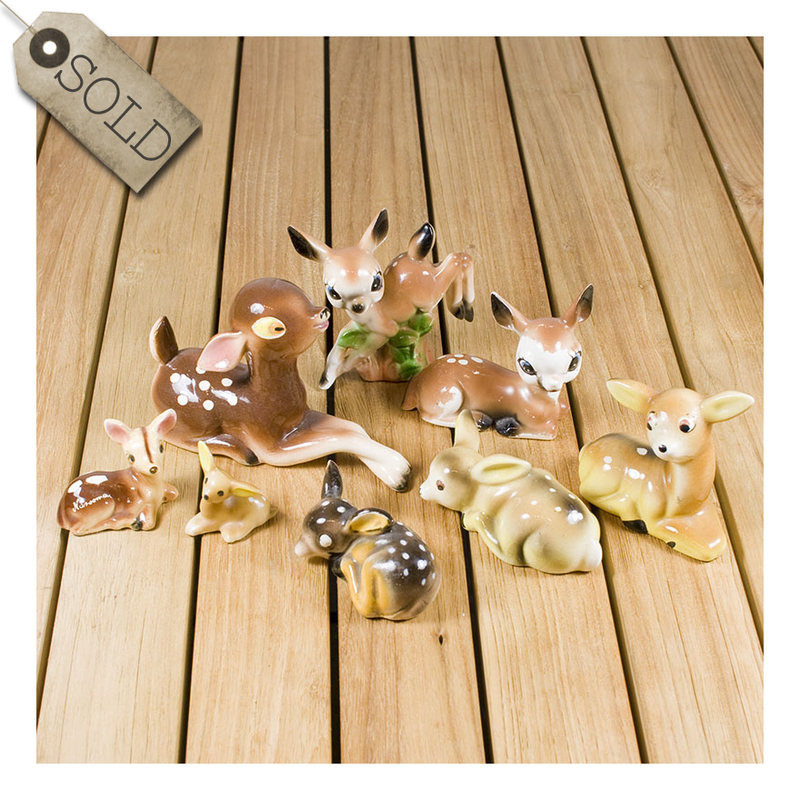 I fully acknowledge that the reason I love bambis SO much is that I wasn’t allowed to have one when I was little – they were considered by my parents to be ‘common’ [by which they meant kitsch.] Little wonder that I grew to so thoroughly embrace all things kitsch! 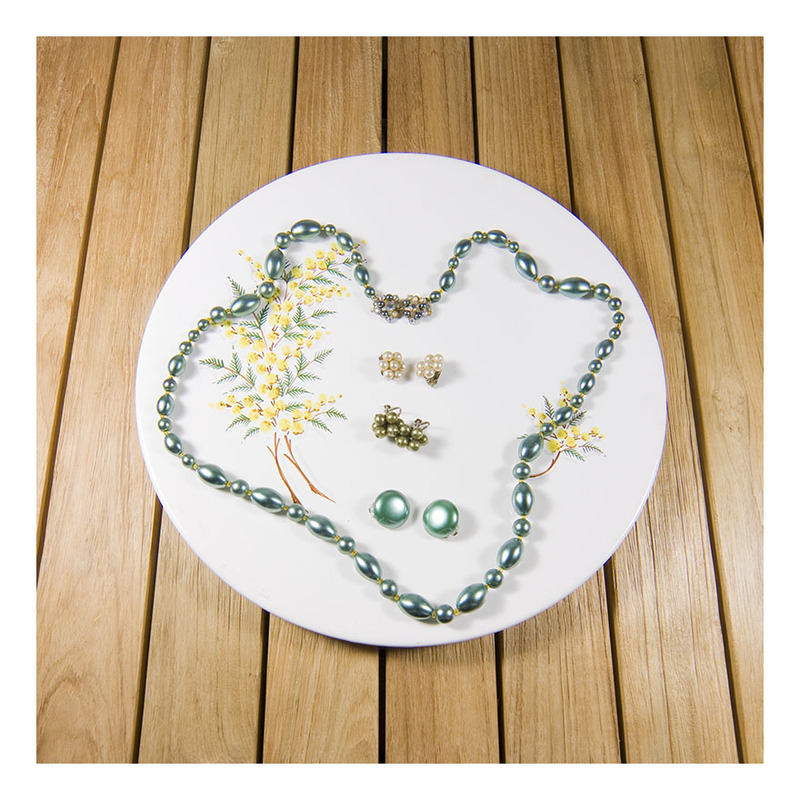 This necklace and earrings are displayed on a Diana plate [may have mentioned Diana in a few posts, below…] I love botanical images and this wattle plate is a favourite; its colours and vintage accord well with the jewellery. All the jewellery features ‘pearlescence’ – fake pearl-i-ness [I’m not making this up! ]- a particularly glamorous invention of the 50s. I especially love the clasp on the necklace – it looks like two earrings on either side of the clasp. Such attention to detail, even when often the clasp was not always seen under a ladies’ 50s bouffant.